A documentary video about the Aquinos and Cojuangcos is making rounds online. 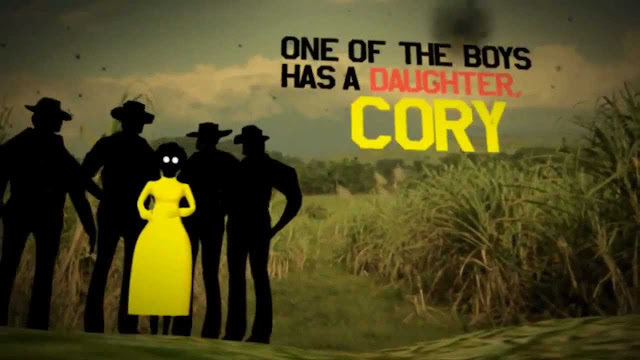 The video docu features the alleged scandals of the 'yellow' family. Lahat ng baho ni Marcos, Ramos, Erap at GMA ay naisapubliko na. Maliban lang kay Cory. Dahil nga sa media bias sa ating bansa. Ito po ang aking pokus sa ngayon, ang pag-laganap ng facts na hindi binabanggit sa media. Dahil dito, nagmumuka akong anti-Aquino kahit na hindi ito ang aking pakay. My only aim is to FIGHT FILIPINO IGNORANCE in order to help them have an educated decision on WHO to vote. This is not an anti Aquino-Cojuangco propaganda. All of the leads, facts and trivia presented can be verified online through credible sources. These facts are silenced in Philippine media. Youtube provides alternative media for the citizens of the Philippines. Media that is unfiltered and untouched by corporate or political interests. Subliminal Messaging is backed up by recent scientific study. Refer to Dr. Draine's doctoral dissertation. Department of Psychology at the University of Washington, Seattle, WA and Dr. Greenwald, A. G., & Liu, T. J. -Limited unconscious processing of meaning. Paper presented at meetings of the Psychonomic Society, Boston. This is a documentary/commentary for EDUCATIONAL purpose only. All copyrighted materials that may appear in this video are owned by their respective owners. We invoke United States Copyright Law of FAIR USE and that WE DO NOT INTEND TO EARN ANY PROFIT from this educational video. The contents herein are mere exposition of facts about the Aquino-Cojuangco clan. These facts are based on testimonies of people and credible news reporting of some unbiased reporters. This is a video BY a Filipino, FOR Filipinos. Utter lack of common sense by the ordinary Filipino citizen is brought about by years of government practice of dumbing down the masses in order to sway their VOTES to their favor. This leads to massive decline of intelligence, morality and dignity of the people, while media create demons to blame for this social decay. ABSCBN(Lopez) and INQUIRER(Belmonte) are owned by allies of the Aquino-Cojuangco families. These media outfits are directly responsible in corrupting the minds of the viewers. Ysidra Cojuangco and the treasures of the First Philippine Republic -Henry Tiu-Laurel. Ambassador Rafaelita Hilrio Soriano. Larry Henares. Isabelo Crisostomo, Cory's biographer.